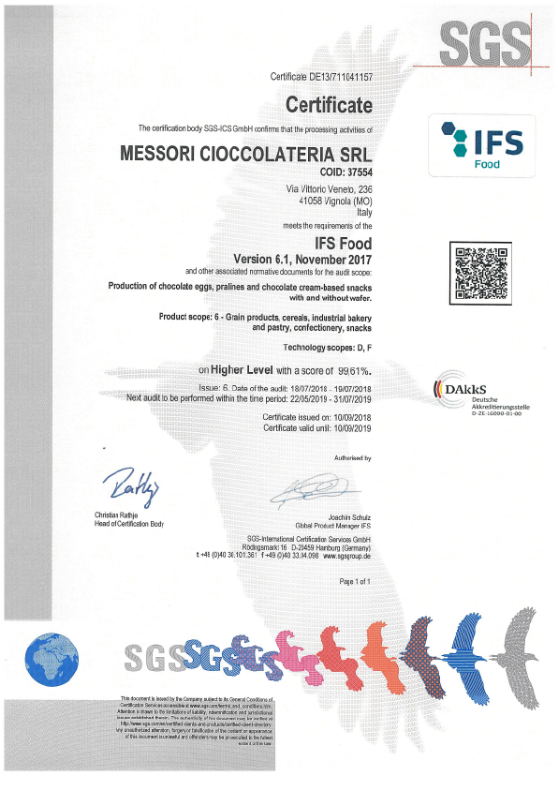 Certificato IFS - Messori Cioccolateria S.r.l. • In fact, starting from July 2012, we obtained and maintained the high level IFS (International Food Standard) certification. • Safety of food is important; for this reason, our internal quality control works in close contact with one of the most renowned analysis laboratories in Europe and is accredited all over the world. REMEMBER: "YOU ARE WHAT YOU EAT"